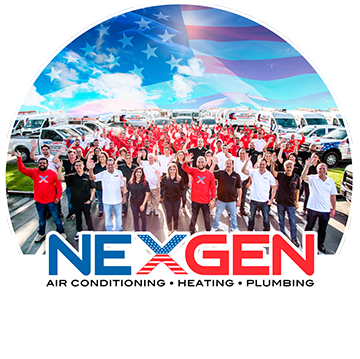 HVAC is not something the average person understands, whether you own your own home or currently rent an apartment unit, monthly utility bills are often a big question. You never really know what it might cost when you open that envelope. Wouldn’t it be nice to no longer worry about the number looking back at you? By cutting down energy consumption, you can save hundreds, if not thousands of dollars every single year. You’ve probably heard many of the common energy saving recommendations, such as switching out old light bulbs for new energy saving options. However, by looking further into these 10 HVAC facts, you’ll not only learn a bit more about your heating and cooling system, but also a few ways to trim down monthly energy consumption. 1. Where Does Most Energy Usage Come From? Did you know the vast majority of your energy consumption comes from three different appliances in your home? That’s right. 75% of your home’s total energy usage stems from your water heater, air conditioner, and furnace. This means if you can improve the energy efficiency of these three appliances you’ll save a substantial amount throughout the year. But what options do you have? First, how old is your water heater? An old water heater bleeds energy. If it is time for an upgrade, consider a tankless water heater. Yes, 47% of homeowners don’t know what they’re spending on electricity. Would you do that for your mortgage, rent, car insurance or cell phone? Probably not. You need to know what you are paying and monitor changes in monthly bills. By doing this, you’ll have a better understanding of what you’re paying and how it changes throughout the year. This way, you can make necessary changes to improve energy efficiency. Struggling to sleep? Maybe it’s your home’s temperature. Optimal sleeping temperatures are between 65 and 72. Do different family members need varying room temperatures to sleep? Consider switching to a ductless multi-room system. This allows you to control each room’s temperature directly and can save you money along the way (as you’re no longer cooling or heating the guest bedroom or other areas of the house you rarely use). According to the American Council for an Energy-Efficient Economy, if you turn down your thermostat 10 degrees while out of the house and at night, you’ll save 14% on your energy bill. With a programmable thermostat, you can easily make this change. A smart thermostat gives you, even more, control, allowing you to change the home temperature from your smartphone. Everyone loves a hot shower. But do you need it that hot? If you turn down the temp on your water heater by 10 degrees, you can save up to 5% annually on energy costs. If your water heater is on the older side, replacing it can help boost energy efficiency even further. By transforming your house into an energy efficient home, you can save at least $75 a month. Over the span of 30 years, this equals a savings of $27,000. A furnace’s life expectancy is 20 years. However, as it ages, it becomes less efficient. This is why you need to have it annually inspected in order to maintain performance and reduce energy costs. Every year, newer furnaces are sold with improved energy efficiency ratings. Did you know your heating system’s AFUE rating can tell you the percentage of fuel consumed for heat and what you’re losing? Stay on top of this to see if there is a change. It means you’re losing fuel in the transfer. Insulation options can help cut fuel loss and improve your heating system. There are many appliances that still draw power, even when turned off. These appliances are referred to as “Power Vampires.” Consider either unplugging unused appliances or connect everything into a power saving power strip. Throughout the United States, all the energy lost to power vampires annually is enough to power 7,387 homes a year. According to the US Census Bureau of the American Housing Survey, 65% of households have central AC. Only 22% use a room or window unit. The rest either don’t have AC or use an alternative cooling method. AC units can kill your energy bill if you’re not careful. In fact, the amount of energy the United States uses annually to run AC units is the same amount of energy, in total, used by the entire African continent.